Our region has outstanding natural resources. Our coastal and marine area is dominated by the iconic Great Barrier Reef World Heritage Area and the region contains the southern extent of the Wet Tropics World Heritage Area, and Bowling Green Bay National Park – an internationally-recognised Ramsar-listed site containing one of Australia’s largest wetlands. Our region’s ecosystems span three bioregions, and are highly-productive, richly diverse, and contain many organisms found nowhere else. Two of Australia’s National Biodiversity Hotspots are found here. Pasture lands are distributed throughout the Burdekin rangelands and inland coastal areas. Soils suitable for dryland and irrigated cropping are also located in areas throughout the region. These areas provide our community with substantial environmental, economic and social benefits. The region’s population of about 240,000 has grown by approximately 30 per cent since 2005, with most new growth occurring in Townsville. The Queensland Treasury expects approximately 140,000 additional residents by 2036. The population is concentrated in the major urban centres of Townsville (the largest tropical city in Northern Australia), Ayr, Bowen and Charters Towers. Many inland centres are very small, and service large, sparsely scattered pastoral properties or mines (see Figure 2). These often isolated communities are facing the twin challenges of declining numbers and increasing average ages. The Traditional Owners of country have the longest and deepest connection with the region’s natural resources, and play an important role in protecting our natural resources for future generations. Beef production, cane growing, horticulture, and commercial fishing have been established in our region for well over a century. The region is also heavily-reliant on mining, energy industries and tourism. Agriculture dominates the landscape, with beef cattle grazing covering over 96 per cent of the region’s land area. While less than nine per cent of the population is involved in grazing, it is by far the most important employer in rural and remote areas. 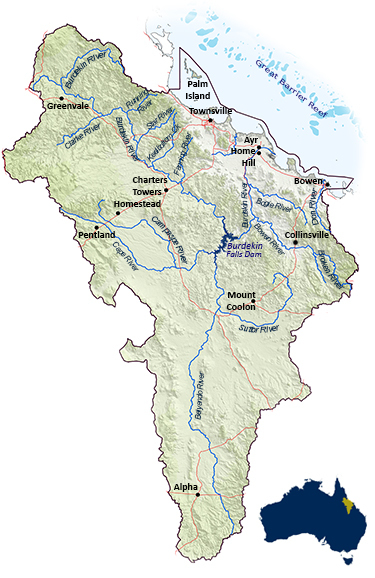 The Burdekin Shire contains Northern Australia’s largest irrigation area, with approximately 1,100 km2 under irrigation, using both groundwater and surface water. Dryland cropping is widespread in the Belyando-Suttor sub-catchment. 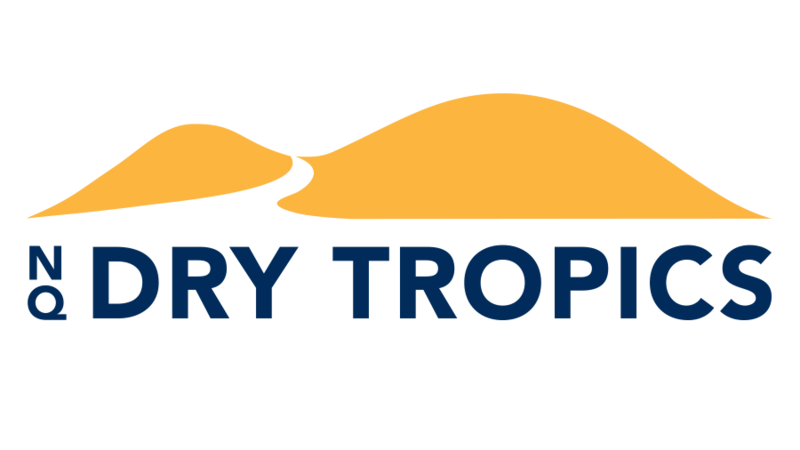 The local tourism industry is also highly-focused on showcasing our region’s natural assets. 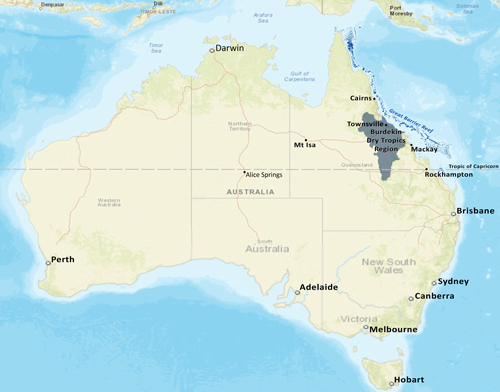 Governments have identified the Northern Australia zone as having strong potential for future agriculture and infrastructure development and expansion. Our region is uniquely-positioned to accommodate agricultural expansion, diversification and value-adding opportunities. While agriculture and mining could be expanded in the region, any decision must consider implications for natural resources, including water availability, land capacity, biodiversity and protecting coastal wetland, marine and reef environments.